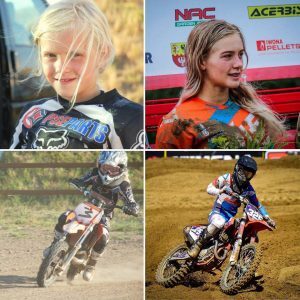 Sara Andersen, one of only 2 WMX riders from Denmark, more than makes up geographical distance to main Euro’s tracks, pushing upwards in racing Women MX World Championship for 2nd season. Having completed a pretty full 2018 WMX season, finishing Overall 9th in the 6 Round Series, Sara celebrated 2nd podium at Women’s Motocross of European Nations with fellow Nation rider Line Dam, before taking much awaited surgery to fix knee injury end of year. 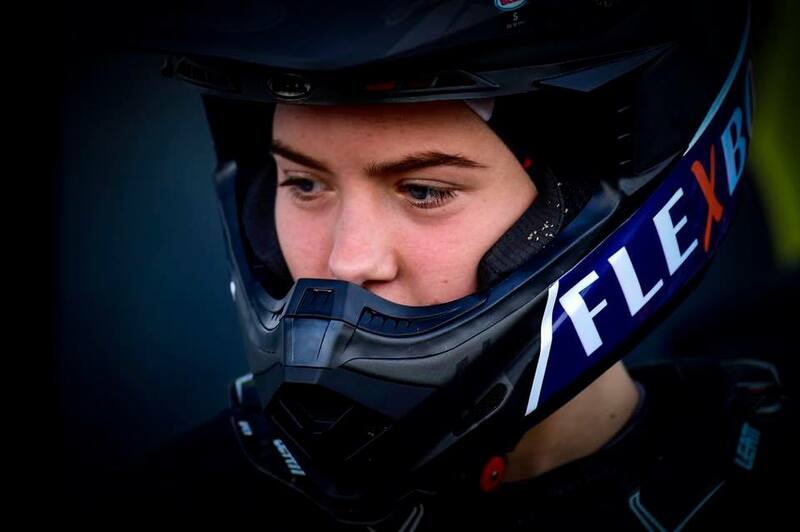 Looking forward to 2019 WMX Series, along with juggling school work, Sara worked hard to achieve better results on sand, not common track found in Denmark. #325: ‘I have been on the bike as much as possible, even though it hasn’t been sand tracks all the time. Valkenswaard is definitely a track that I prefer to ride on’. ‘I was supposed to go riding in Holland/Belgium a few weeks before the first round, but because of bad weather and closed tracks I ended up riding a few days at the track in Dunkerque, France to ride some sand. It was my first time riding sand after MXGP in Assen last year. 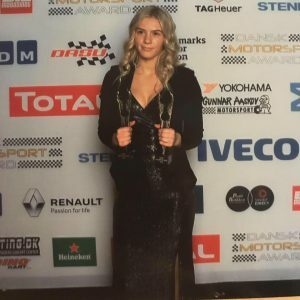 With accolades received at January 19th, 2019 Danish Motorsport Award, Sara won ‘Individual Performance for 2018‘- great confirmation of #325 achievements- as Sara says: ‘it’s a huge pat and gives me courage to fight even harder and reach goals every time when you get such recognition’. Post WMX Opening Round at Valkenswaard, Sara turns her sights on training and preparation for next hard-pack GP’s. # 325: ‘Last year I proved to myself that I was able to ride with the best girls. Therefore I’m more confident this year. I have been riding a lot of hard-pack, because 4 out of 5 rounds are on hard-pack, which I’m happy about’. Standing WMX Overall 14th, looks like Sara will continue edge her way up the points table. ‘I will of course ride even more hardpack and try to find tracks with some ruts. I will work hard and try to get even faster for the next round, so I hopefully can achieve better results’. WMX Round 2: MXGP of Portugal, May 19th.